All I have here is a W53. No help to offer. Parts didn't arrive as expected, hoping they arrive tomorrow. 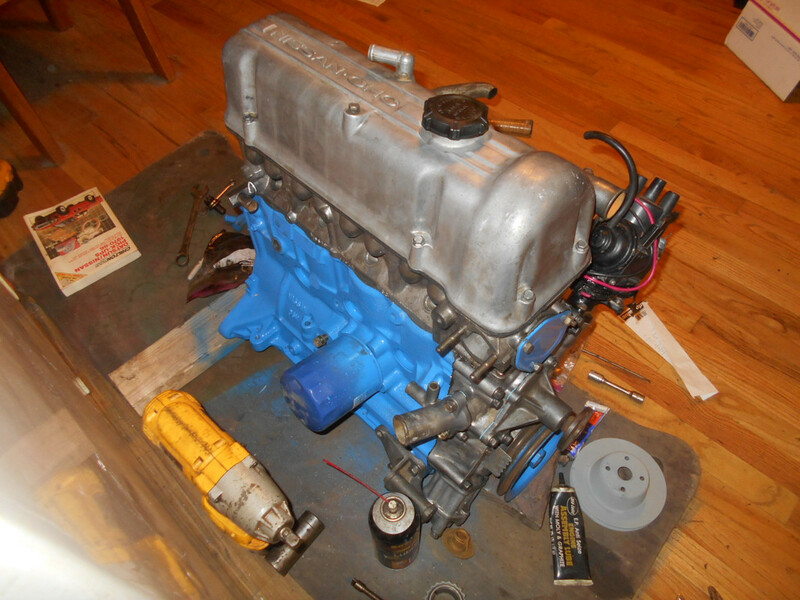 Since it is raining I was hoping to get the engine put together, late next week the weather is supposed to improve, so I plan on putting on another coat of primer on it, and then painting it. 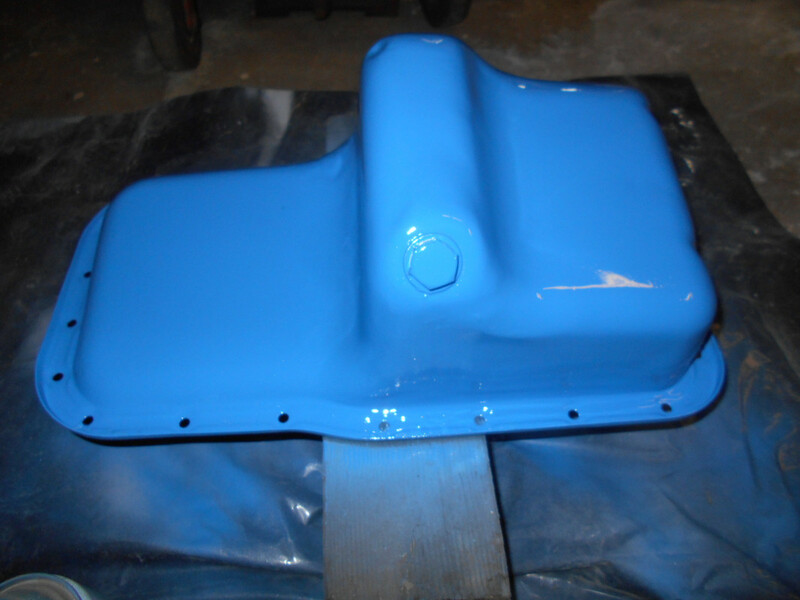 I cleaned and painted the oil pan I planned to use today, then I realized that I might not be able to use the L16 oil pan as this is a 86 Nissan 720 frame, not a 520/521 frame, I actually measured the oil pan on it and don't think it is the same. Wouldn't you need a 720 L20B pan? flatcat19 wrote: Wouldn't you need a 720 L20B pan? 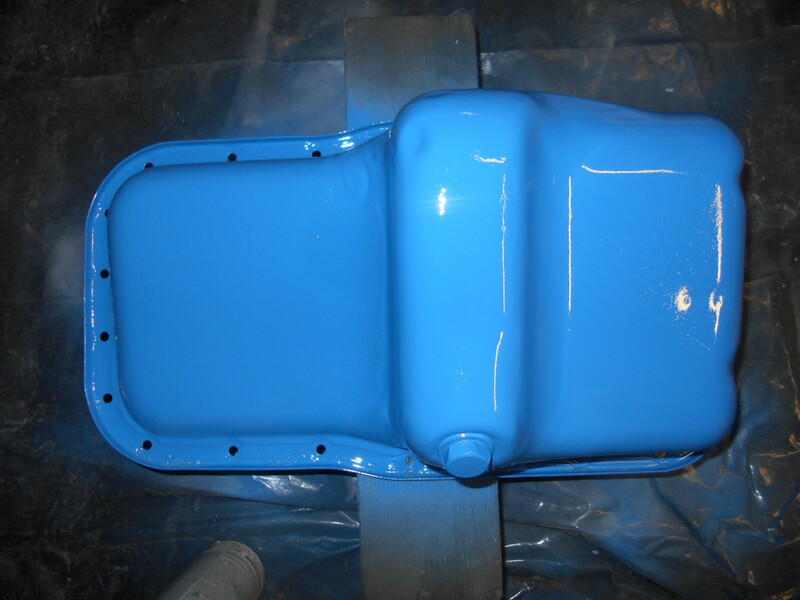 What I have in it is working, so I will measure it again and figure it out, I have quite a few oil pans around here, one of them will work, if not then I will use the one in there now, just won't be perdy. Oh yea, the ARP stud kit came today, Yea! This is where I started today, I took the interior completely out and removed the duct tape I used to cover the sifter holes. 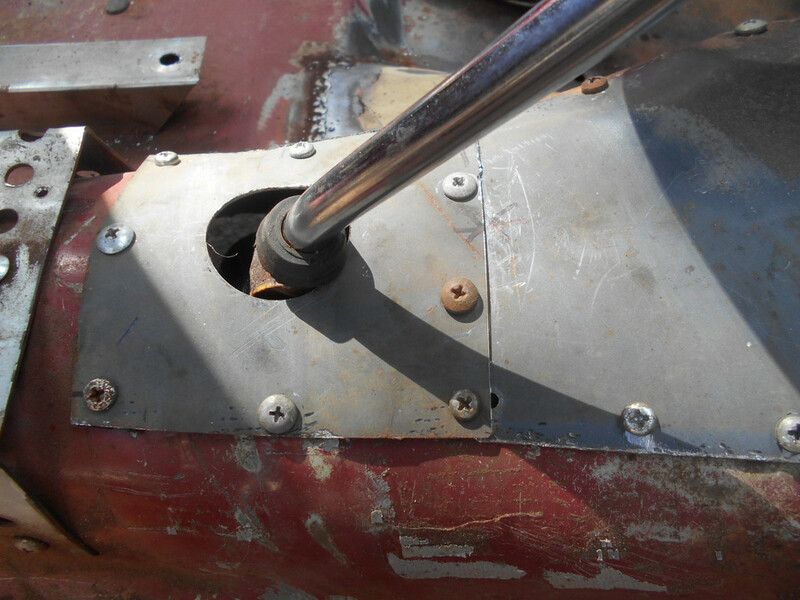 Then I made covers for the holes in front of the shift lever. 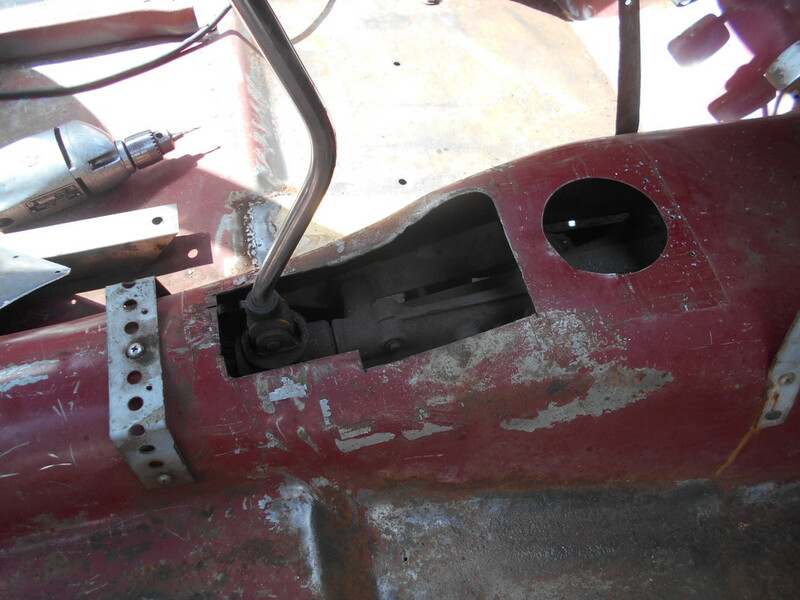 Now it is ready, I put rust inhibitor everywhere there was rust, I also made the shift lever hole square, I needed a little more clearance. 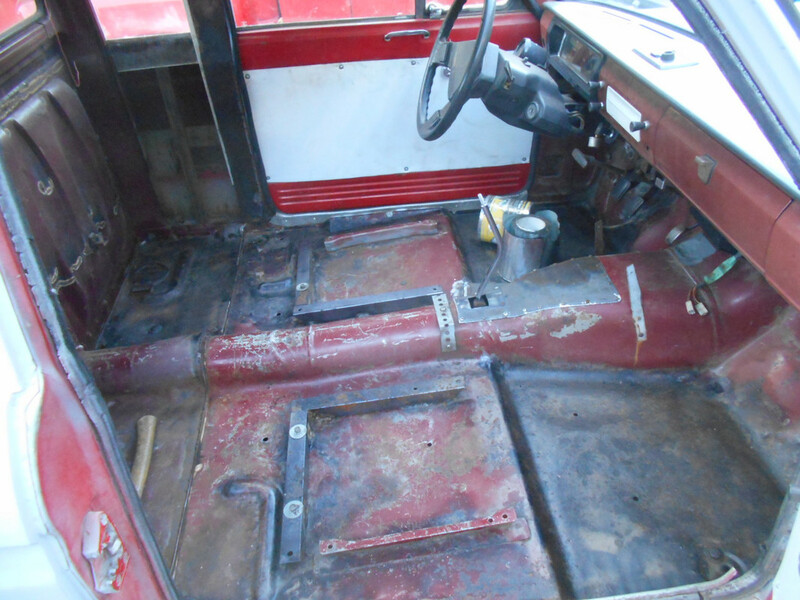 Now I have to decide if I am going to just put sound deadening down the way it is, or prime everything inside and then paint it, painting it is a major hassle, but it would look better until I put the sound deadening in covering most of it up. Also I keep looking at the original color, this dark reddish color, wonder what that color is called, the floor color, not the door color. The head is on and torqued down to 60lbs as per directions that came with the stud kit. I will probably put the timing chain kit in tomorrow, done enough today. Need to put more assembly lube on the cam lobes, what was on there has dried out over the last few years of it sitting in my parts room. 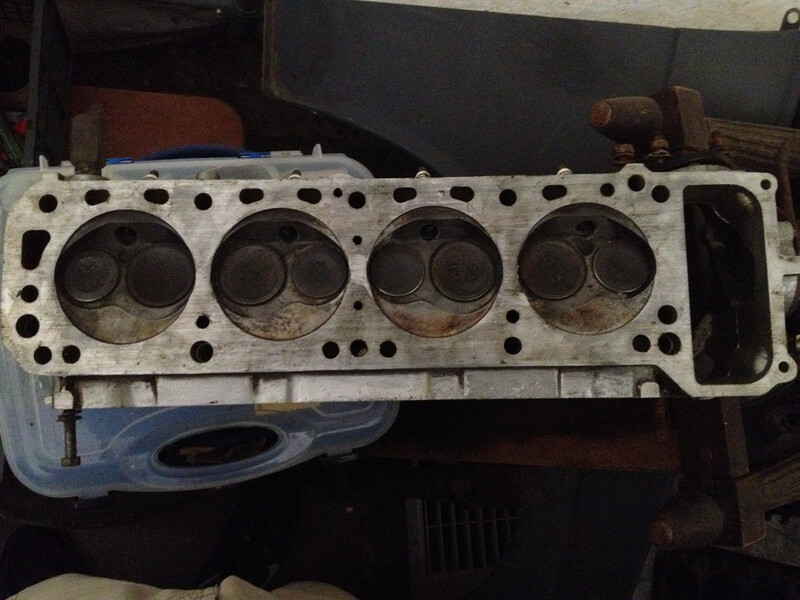 Thanks for the photos Taterhead, that U67 head doesn't have the holes either, I have a couple 210 heads here, I wonder why the holes are even in the head gaskets. 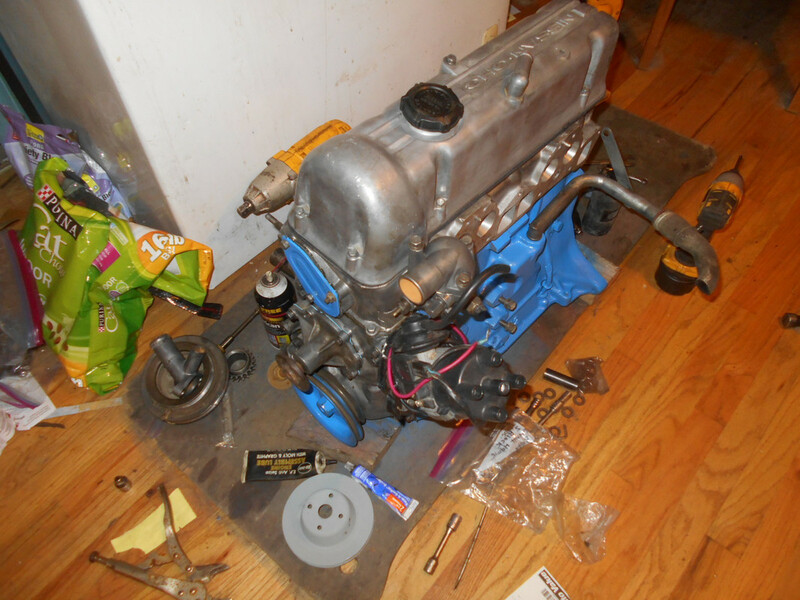 I have figured out that I don't have a few parts, one is the distributor/oil pump drive shaft, I am having a hard time with that part missing in my box that I had the L20b front cover in, that is just one of them things that I keep, I know I will need it, I have one for the Z block, but it appears to be too short. 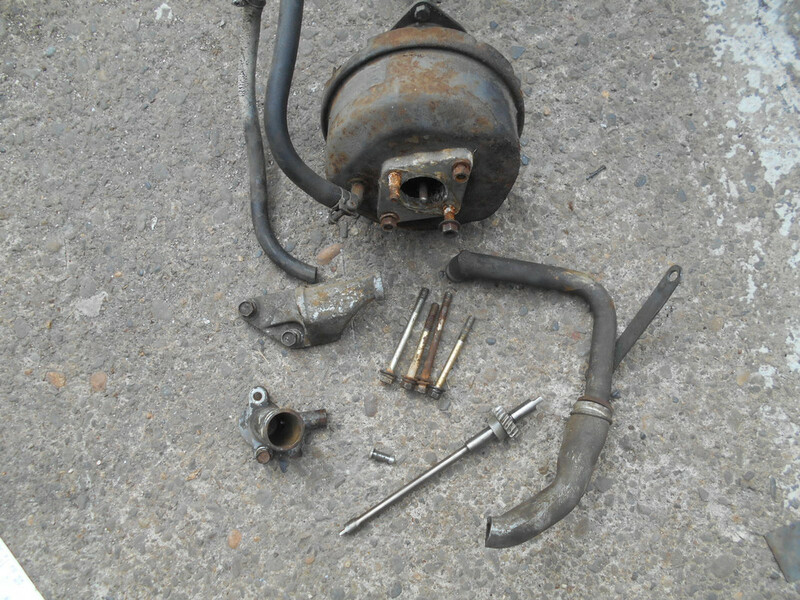 I also don't have the water outlet just over the alternator that the main hose connects to, I have one but it doesn't have the outlet that points straight up that goes to the thermostat housing and intake manifold, the one I have must be for a Z block. 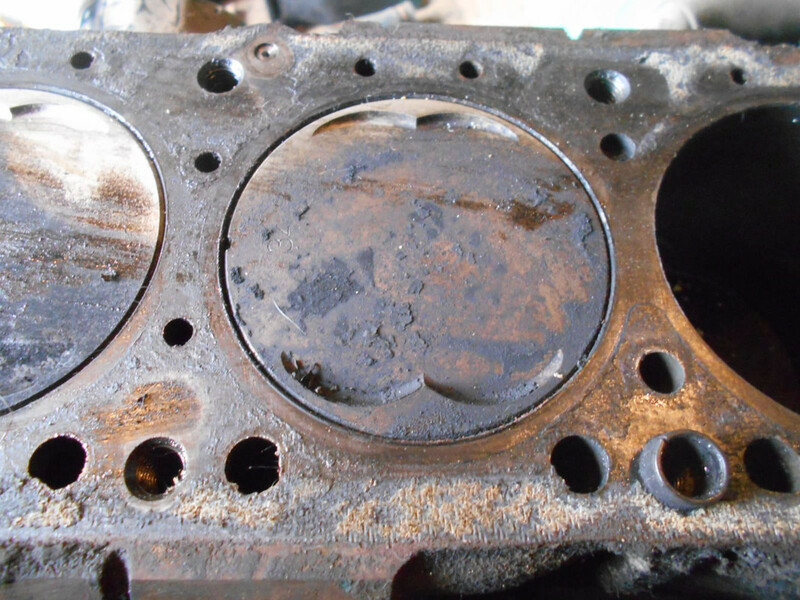 I am also missing that one really long 10mm head bolt that goes thru the timing chain cover that holds the water pump/timing chain cover on, that thing is freaking long. I messed up and posted in the wrong thread, I will save this spot for my next post. I picked this stuff up at the wrecking yard today for the engine/truck, the oil pump drive shaft is correct, the water outlet is correct, the engine case breather tube is correct, the 4 blots to hold the oil pump are correct, the brake booster was wrong, oh well, I forgot to measure my bad one before I left the house, took a chance, I paid $22.something for everything. There is a 1979 Z car alternator bracket in there also, all the mount holes don't all line up, but I believe it will work, it mounts the alternator lower so it fits under the water outlet above it, I use early 1980s internally regulated alternators from 720s, they are a bit larger than the externally regulated alternators these engines came with. 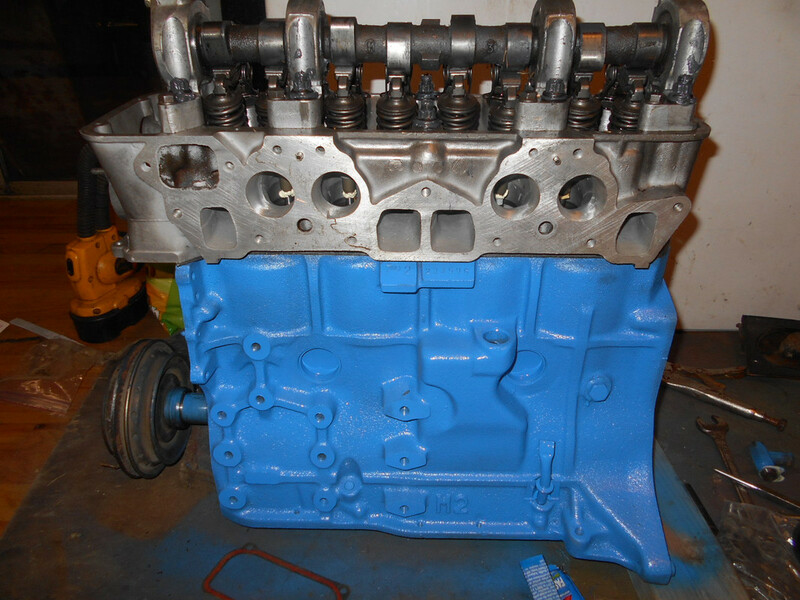 I have a lot left to do to this engine, but going to get back to the body work and paint after the rain tomorrow, the rest of the week is supposed to be dry according to the weather man anyway. I have the oil pump, oil filter, and plugs now. After reading the Jason Grey info again I just realized I could have made a long rod engine, kinda regret that, would have been nice to make something new/different. 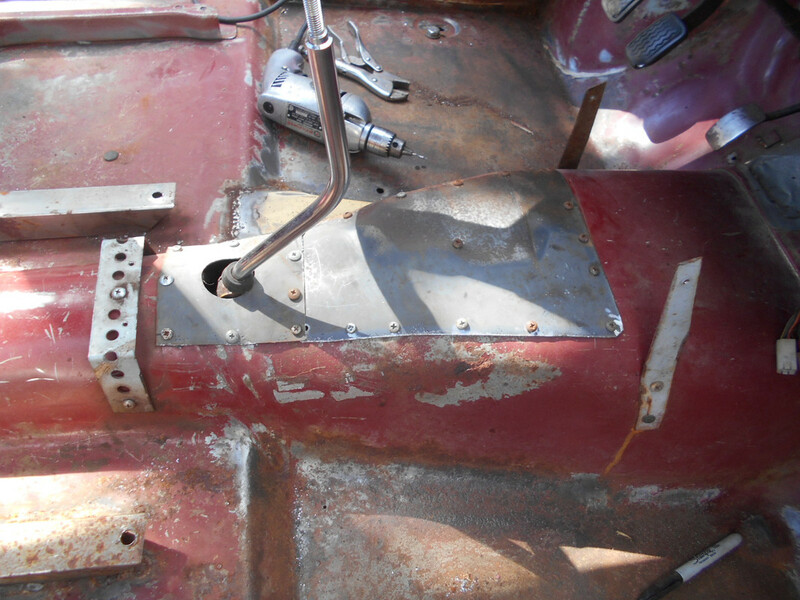 No big hurry though, I will be painting the engine compartment before dropping this engine into the 520 ute, I also need to change out the brake booster and make new better routed brake lines. Sweet build Wayno! I fondly remember the LZ20 long rod build I did for the 510 many moons back. Best combo I've had without getting the extra crank throw of the Z22. 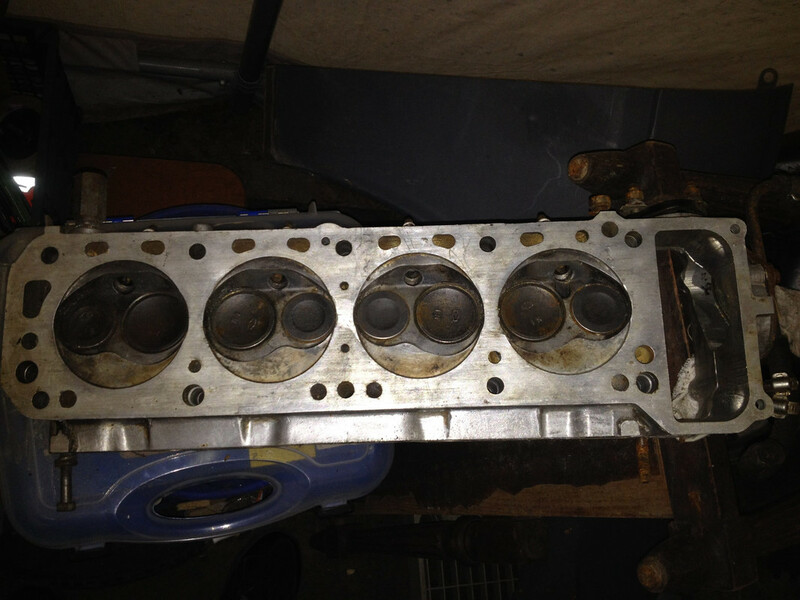 By the way, I still have a Z22 crank ready to go in the garage. .020 under on rods, .010 under on mains. In case you need one. 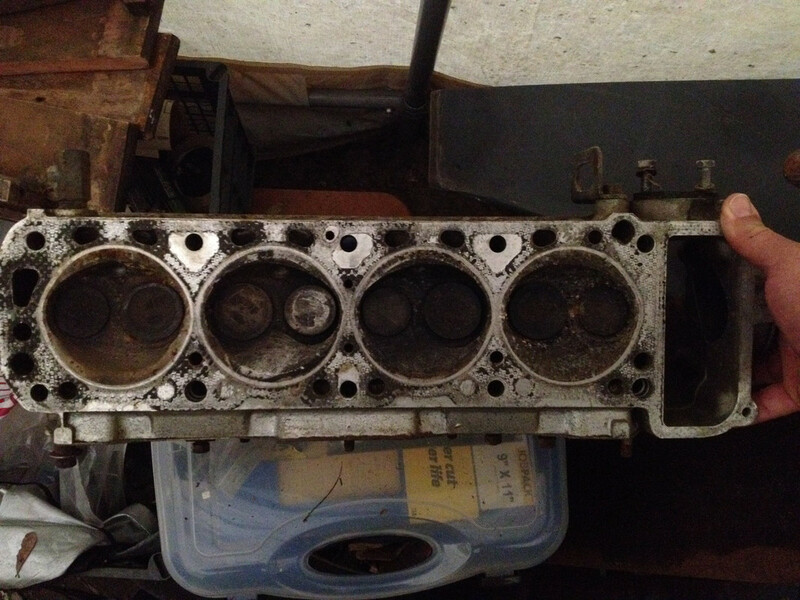 I actually have a Z20 long rod block in the shed right now, I thought being it was a Z20S that it wasn't anything special, but when I tore it down to scrap most of it I found flat top pistons and long rods. Do long rod engines rev smoother? By the way, this LZ23 engine is still sitting in the same exact spot it was a month ago. The Z20E combo I did with the U67 head revved super smooth, but I don't think longer rods would help that. Z20S are only slightly dished, but from the carbureted trucks. Z20E are from the EFI cars and have the longer rods, but shorter piston height that is completely flat top minus some valve reliefs. The truck block ones aren't worth spit, the car ones make fun motors. 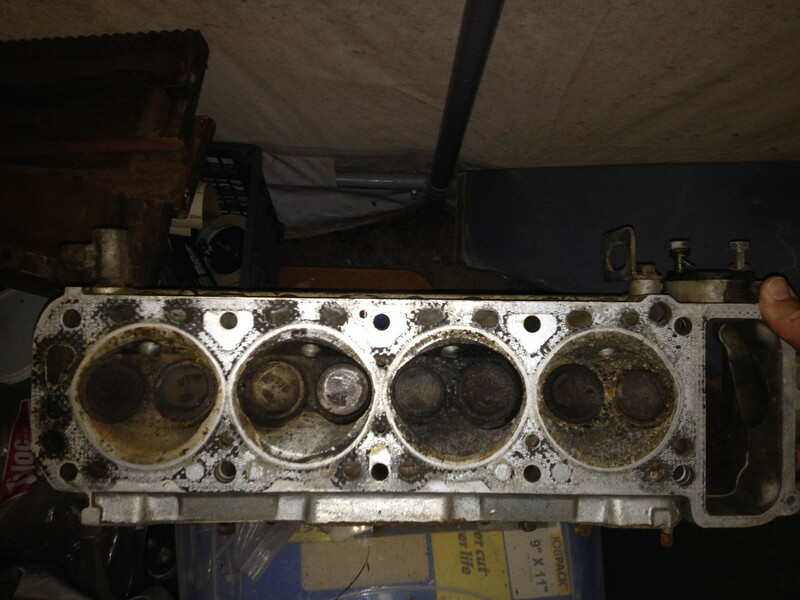 This engine has 6 inch rods(152.5mm), I have measured them, and it has flat top pistons with valve reliefs. 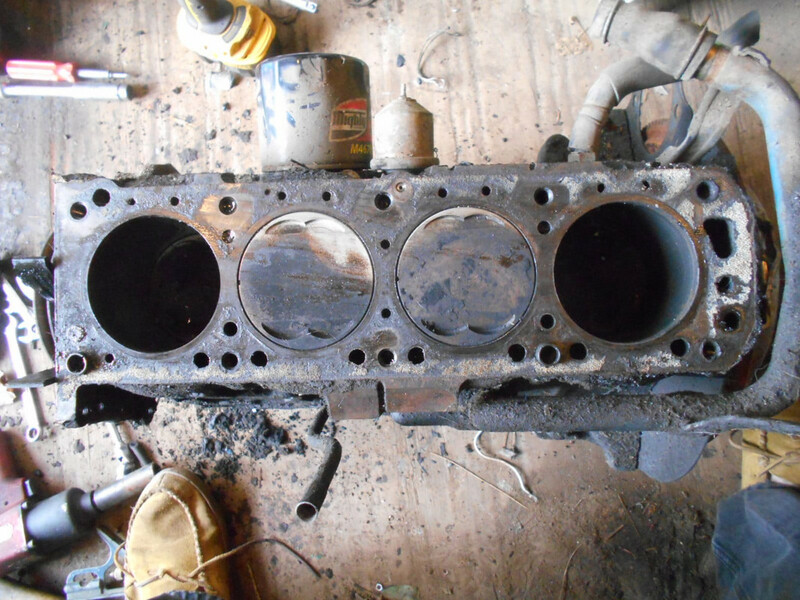 The block came out of a 1980/81 Datsun 510. Long rod motors have less angle change throughout the circular motion. This means less sideways force on the piston/crank. This means, it should rev smoother. On top of that, if you can get an over square motor (Bore diameter larger than Stroke), that helps with high rpms as it reduces piston speeds. It makes the motor smoother for higher revving. My 87mm bore L18 loved to rev, so sweat could float the valves (@7200rpm).